Tonight its time to rivet some parts together. The primer has been sitting a few days while I spent time with my wife and daughter these past few days, but I had some time tonight to work. I started out by sorting my parts into the proper “piles”. Left / right horizontal stabilizer, vertical stabilizer, front / rear spar, etc. Then I picked up where I left off in the plans for the horizontal stabilizers. This section is the last one, titled “Riveting the horizontal stabilizer”. 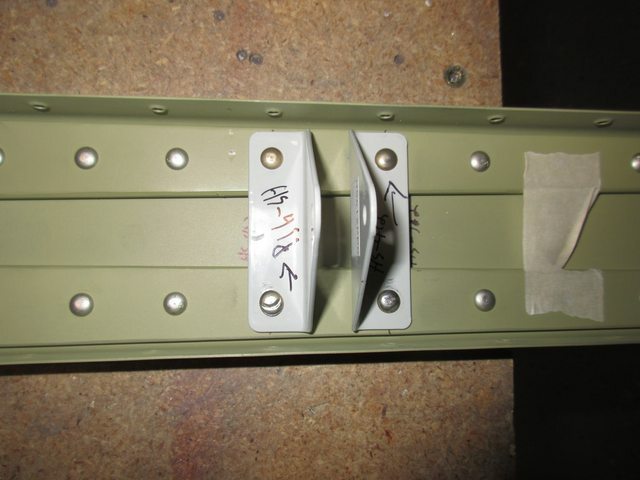 I first started out by locating and taping up the holes for HS-706, HS-708 and HS-00005 as well as HS-412PP hinge brackets. 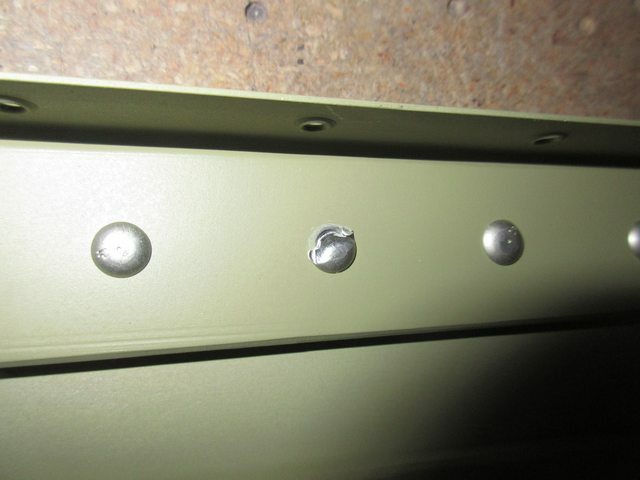 These holes don’t get rivets just yet, so the tape will keep me from sticking one in there. Then I assembled the HS-609PP bars to the HS-603 rear spar channels, cleco’ing every other hole while ignoring the taped up holes. 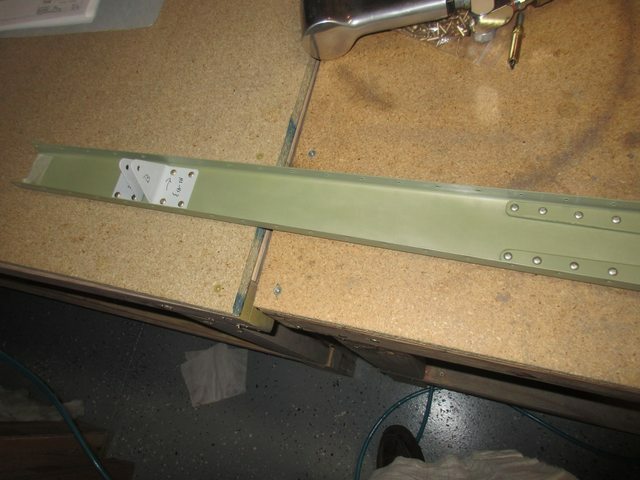 Next up was to rivet on the hinge bracket, HS-412PP and HS-413PP to the rear spar. 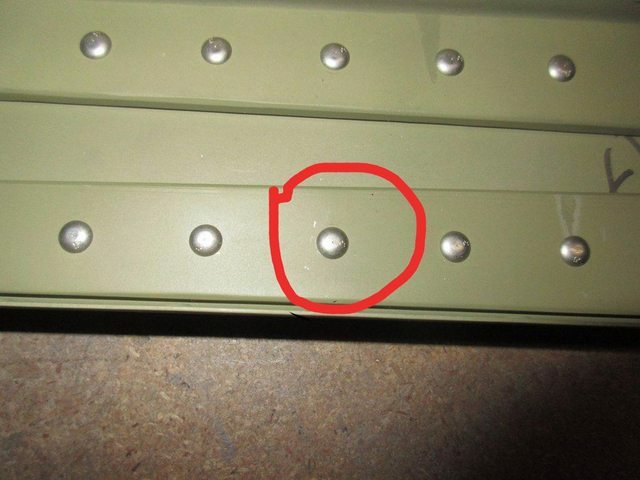 At first, when I inserted the rivet called for, AN470AD4-5, it seemed a little long, but a quick search of this forum returned that this is normal, and thats indeed the correct size. So I squeezed them with my squeezer and they turned out good. It looks like my squeezer set was offset a little on the shop head, and the lip bit into the rivet. We’ll see what everyone says is the best route to take. Next I pulled out the bolts, washers and nuts for the HS-411PP center bearing to bolt it to the spar. I have a decent craftsman torque wrench but I am not sure what torque to use. Nor am I sure which side the washer should go on, bolt head or nut side? So, I just fingered tightened them for now, and will ask the forum for advice. So that was all I accomplished tonight. I have two “pending” items from this work session, that I am waiting on advice for. 2. What torque do I need to use, and which way do the washers go for the HS-411PP center bearing.